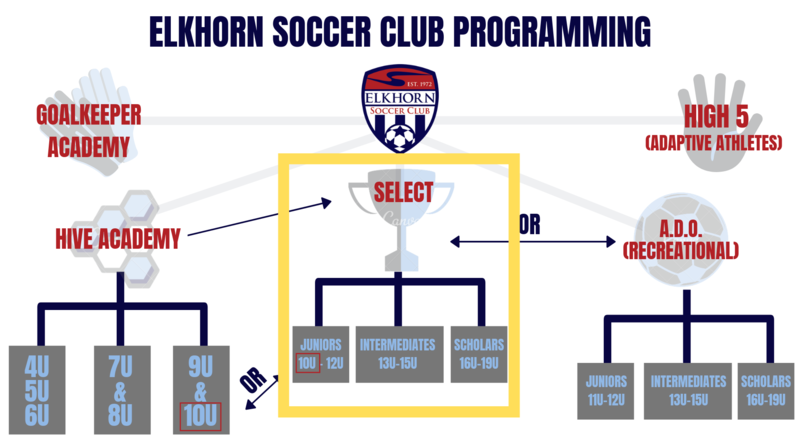 Elkhorn SC Select is for players in the 10U-19U age groups that are seeking a competitive playing environment. Our goal at Elkhorn SC Select is total player development. Our focus when selecting teams is to find the appropriate placement for each player so they can thrive and grow in an environment that unlocks their full potential. Coaches are assigned to teams by the Executive Director and ESC Directors of Coaching. Players at this level are expected to participate in competitive league play and tournaments. Participation in the Select program is a year-long commitment for players and families.